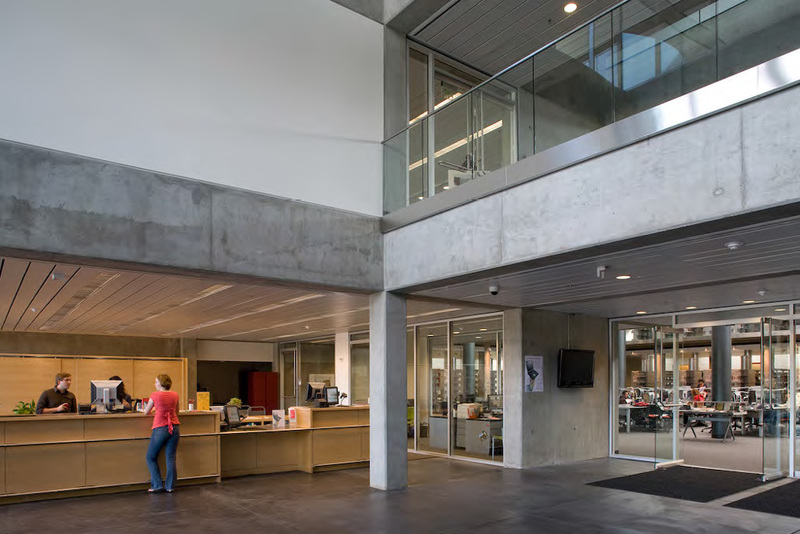 Gruen Associates teamed with PCL Construction in the Design-Build renovation and partial demolition/conversion of an existing hospital building paired with new construction to build the main campus library, based on a design by Foster + Partners. 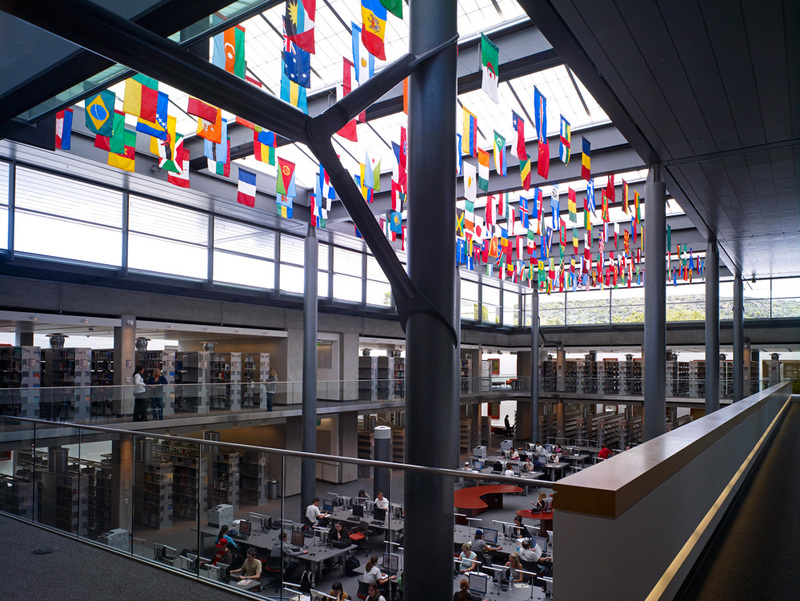 The $44 Million, 137,750-GSF project consists of a two-story building (71,685 SF of new construction and 66,065 SF of renovation). 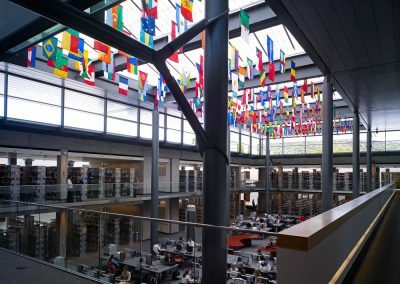 The existing Mission-style building was selectively demolished and a new steel canopy and glass-enclosed library stack structure was inserted into the heart of the existing building. 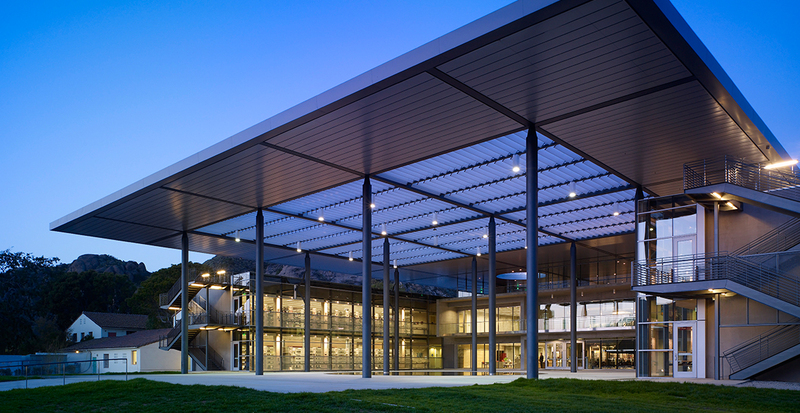 The new library is placed on the eastern end of the central landscape spine to become the form-giving architectural icon to the Channel Islands campus. 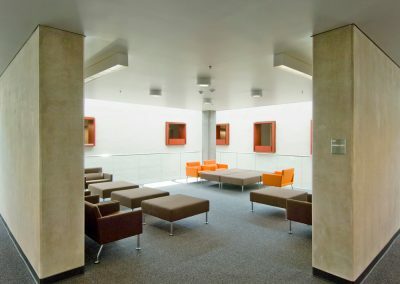 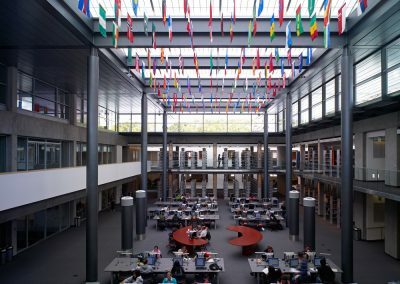 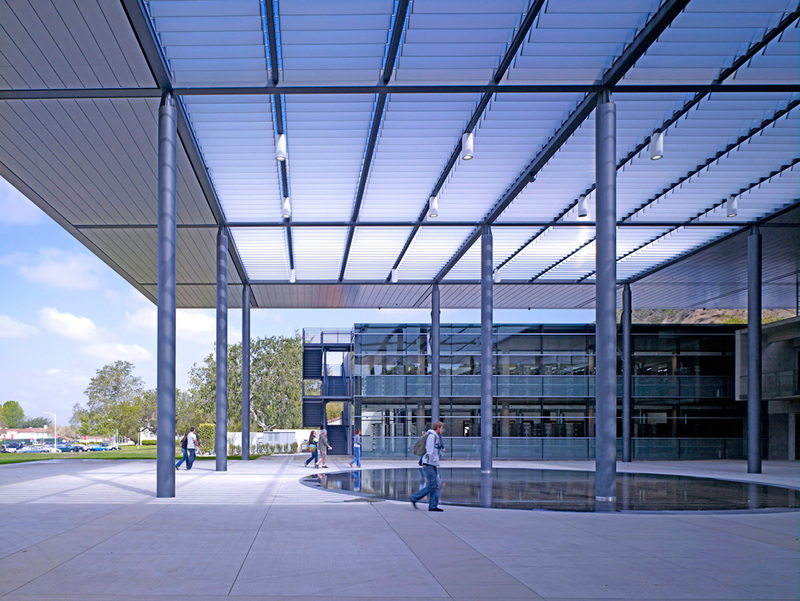 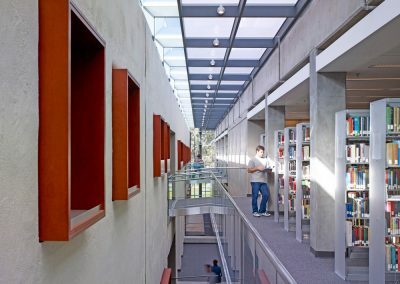 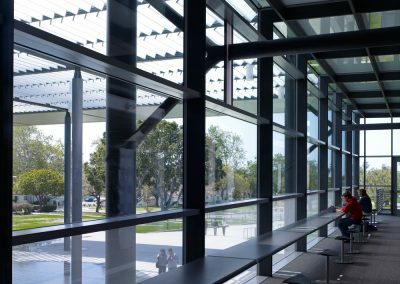 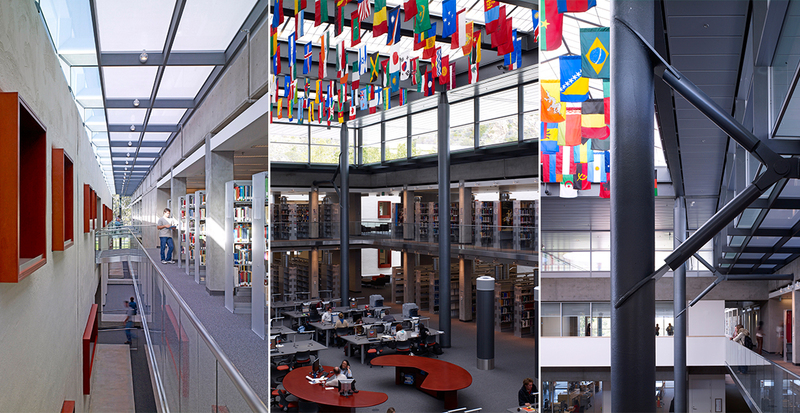 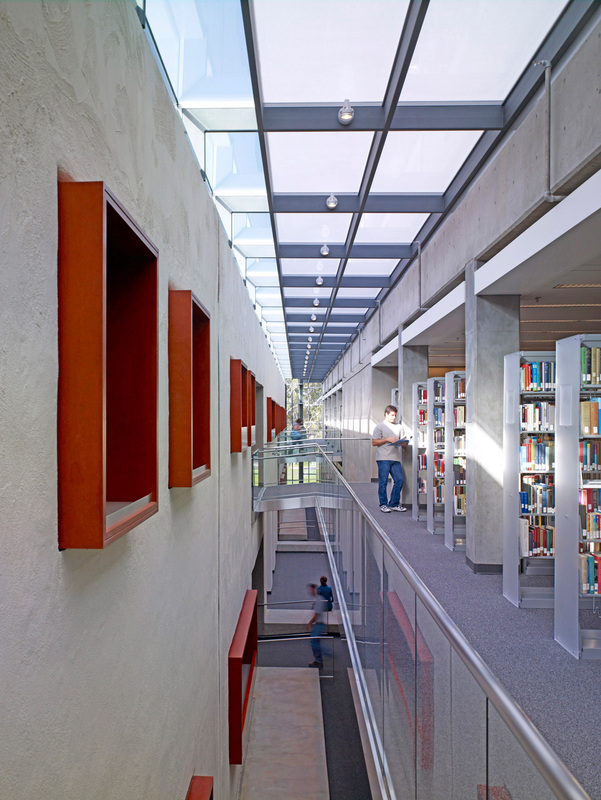 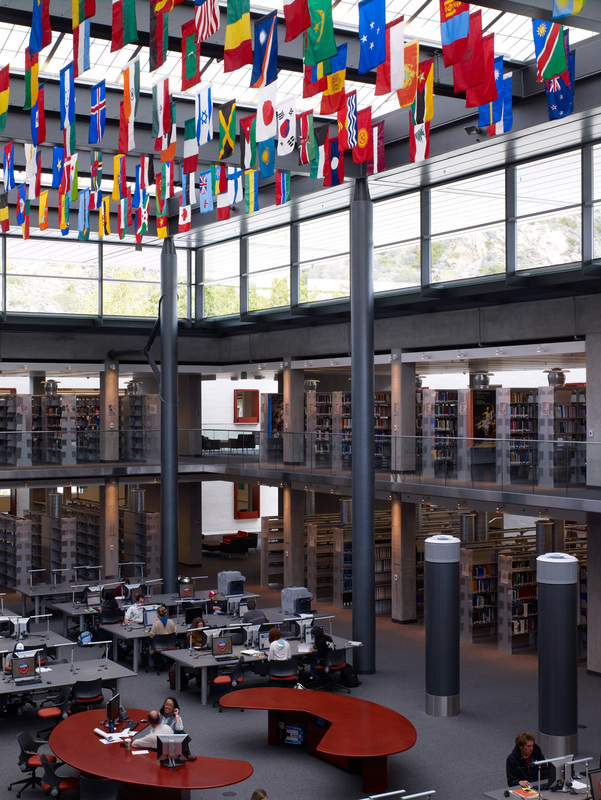 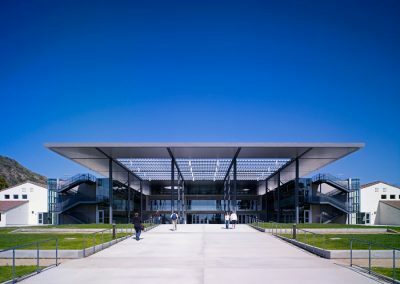 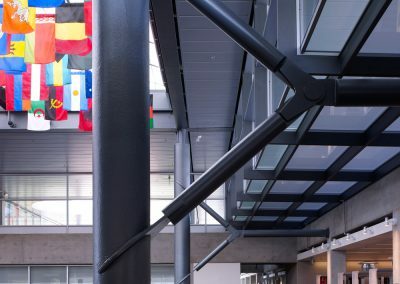 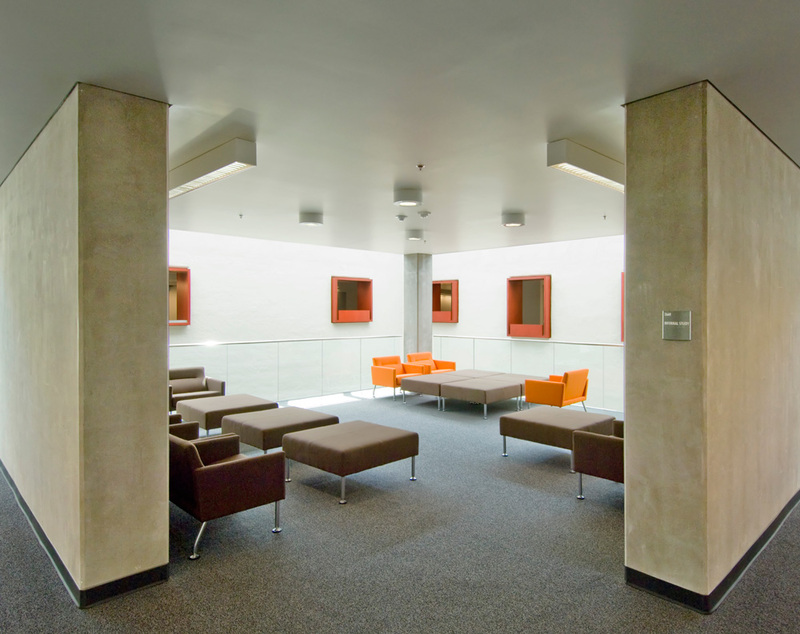 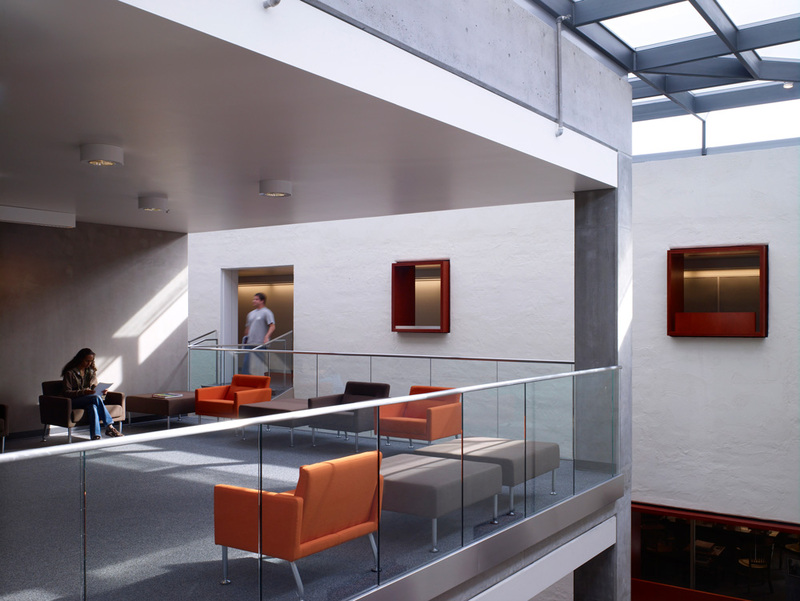 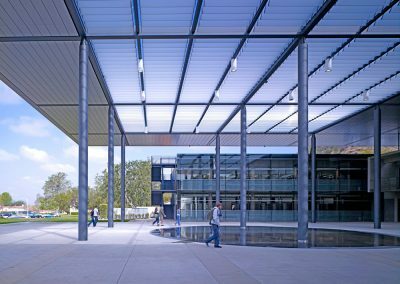 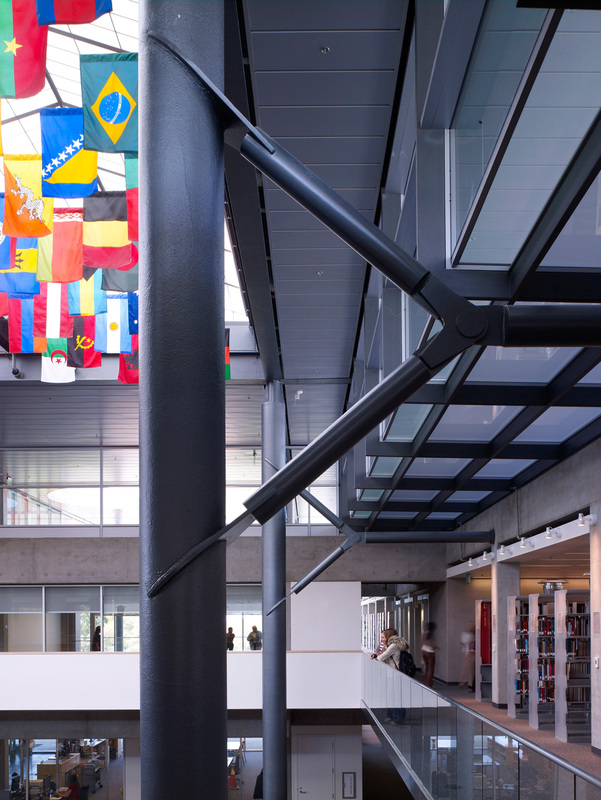 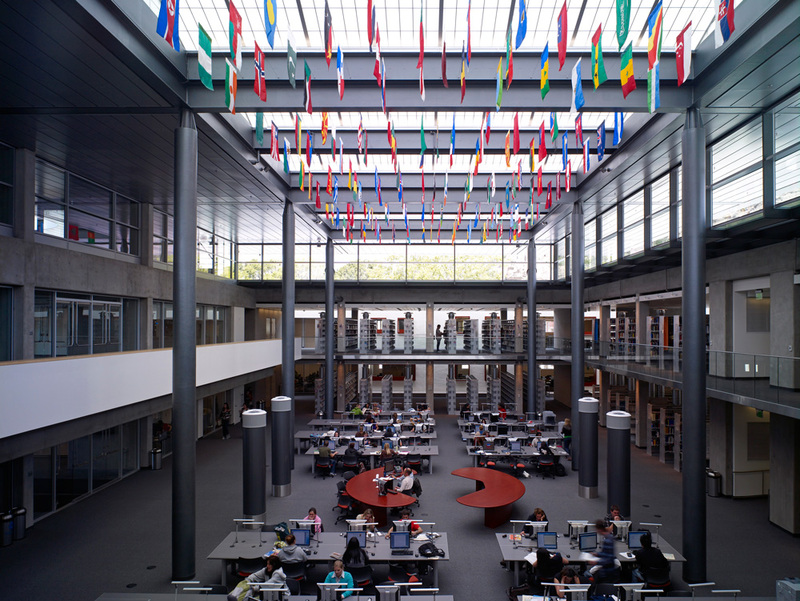 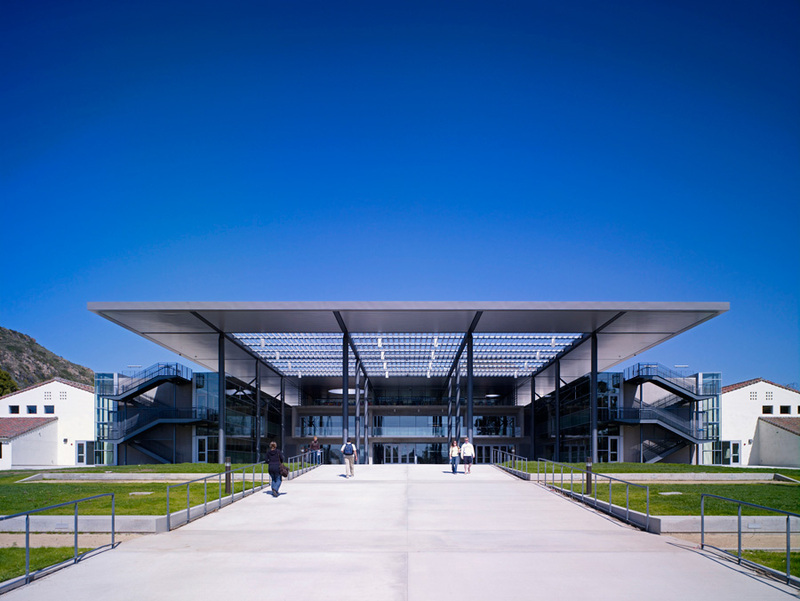 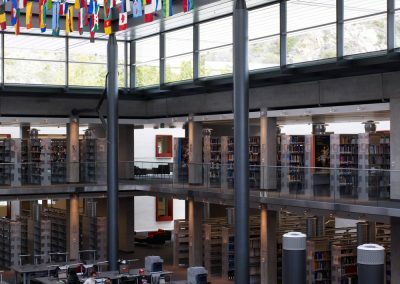 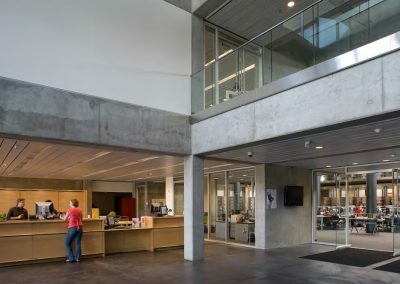 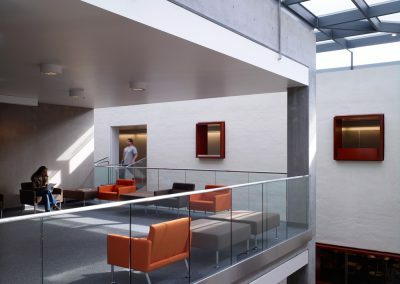 The John Spoor Broome Library is the most modern-looking, sustainably-designed structure on the campus and stands out against nearby older buildings, earning the project the Best of 2008 Award from California Construction magazine.